2017 has been a Boom-Bust year for Eared Grebes (Podiceps nigricollis), as an the extraordinary number of dead ones had been washing up on Loreto beaches. Some folks were quick to point fingers at potential pollution sources or poisonous natural sources or were just left shrugging their shoulders. And while the Loreto Coastkeeper team continued its regular monitoring of sea water quality along the year, even increasing the number of water tests at one point, they had not discovered the apparent causes of the high mortality rate for this one species. Biologists in the Marine Park ultimately pointed to a probable cause that is explained fully in a research article presented in The Auk, the research publication of the American Ornithological Society, in 2002. 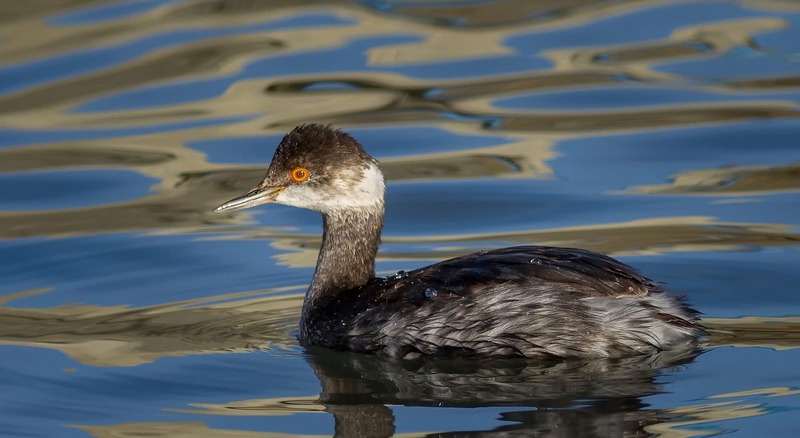 Researchers from The Smithsonian and three other institutions explored a similar population crash in eared grebes that occurred in 1996 and 1997. Essentially, an overabundance of these small birds, especially in warm sea temperature years, has them arriving here relatively thin after their migration from the north. High surface water temperature drives their food deeper and, unlike some other diving birds, they are unable to dive deep enough to capture enough food to survive. They starve to death in massive numbers. As the article explains, their population rebounds quickly after these crashes.